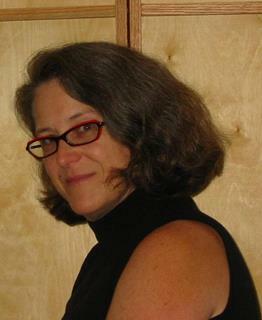 Lynn Angebranndt (cello) received her Bachelor of Music in applied cello from The Catholic University, Washington D.C., and the Master of Fine Arts from the California Institute of the Arts. She is a core member of Ensemble Green, an ensemble devoted to contemporary chamber music. She has appeared in concert with the CalArts 20th Century Players and the California E.A.R. Unit. She has been a guest artist at the Fairbanks Summer Arts Festival, and for two summers appeared as a performer for the Arcosanti Composers Workshop in Arizona with the California E.A.R. Unit. She has performed solo works by Donald R. Davis and Arthur Jarvinen on concerts presented by Different Trains, a Los Angeles-based composers collective, performed Eve Beglarian's Born Dancin' for solo electric cello on the FaultLines Series at the 24th Street Theater in Los Angeles, and performed solo music of Alvin Lucier on a concert presented by the MAK Center for Art and Architecture. She was a guest performer in realizations of John Cage's Theater Piece presented by the FaultLines series and the California State Summer School for the Arts, and has appeared with Vinny Golia in concerts of his compositions for winds and string quartet. Ms. Angebranndt was a member of the Santa Fe Pro Musica from 1986-95 and is currently the principal cellist of the Westchester/Marina del Rey Orchestra and the Lancaster Symphony. She has been on the faculty of the Gold Coast Chamber Music Festival since the summer of 2005. Ms. Angebranndt maintains a private teaching studio, teaches part time at Valley College, is a board member and the newsletter editor of the Los Angeles Cello Society, and freelances throughout Southern California.